I manage a Physiotherapy Clinic within busy village GP practice. Back pain keeps me in regular employment yet I spend my time trying to cure it, conversely? One of the biggest non-physical challenges I have is trying to clear patients previous misconceptions of their spinal pain. To be fair its not that the previous therapist was wrong, but that their words and message were misinterpreted. Seemingly harmless medical terms can mean different things to our patients and I was quite surprised to find that some of my regular buzz words were also commonly misinterpreted…Ooops I thought I was awesome! 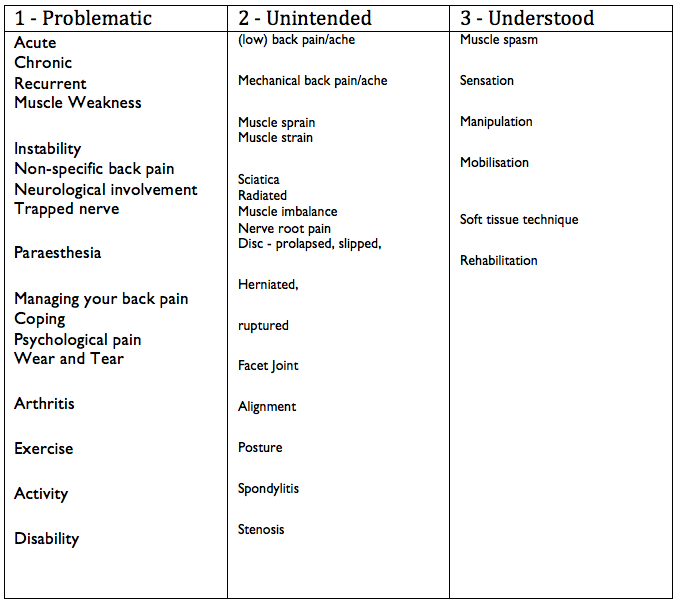 An Interesting qualitative study by Barker, Reid & Lowe (2009) asked members of the public for their interpretations of common terms used when receiving back pain treatment from a Chiro, Osteo or Physio. The terms were then categorised into three groups. 1. Terms that could lead to problematic misunderstandings. 2. Terms with unintended meanings but few negative repercussions. 3. Terms that the public appeared to understand as intended. It should be highlighted here that the Problematic words are not all ‘wrong’ in their usage, only in their interpretation. My personal interpretation of the research is that I now take more time to explain and ask the patient to clarify their understanding during consultations. I’m also much more careful with the word ‘instability’ now – not letting it slip off the tongue and wobble around our conversations before smashing on the floor like a poorly balanced fine bone china vase. Not to be misinterpreted! Reference: Barker, K. L., Reid, M., & Lowe, C. J. M. (2009). Divided by a lack of common language? 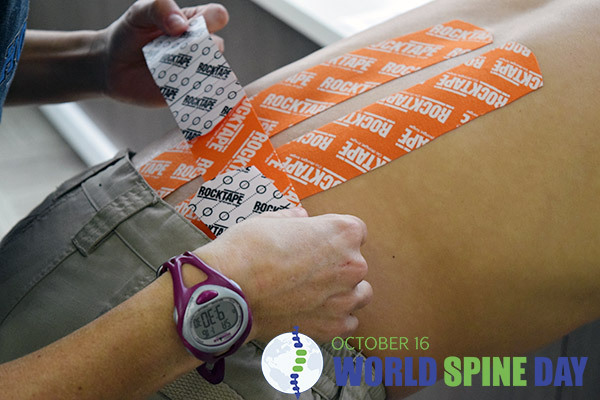 – a qualitative study exploring the use of language by health professionals treating back pain. BMC Musculoskeletal Disorders, 10(1).